Successful implementation of environmental flow projects depends on land and water managers having clear objectives and access to reliable data. 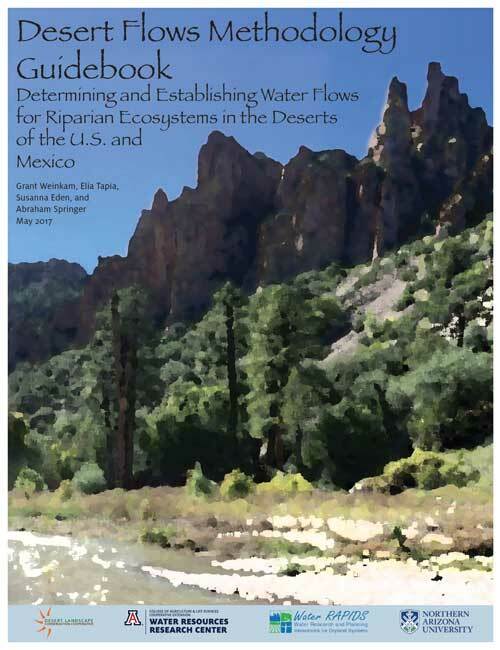 This guidebook provides information on a variety of methods that can be utilized under different fiscal or temporal constraints to determine and implement appropriate environmental flow targets. Based on evidence from cases focused in the Southwestern United States and Northern Mexico, steps are suggested to help ensure maintenance of flows under uncertain future natural and socio-economic conditions. The importance of education and engagement to increase acceptance of environmental flows-based projects and gain key player and community buy-in is described. Limitations on using some data resources and barriers to program success are defined, along with the influence of policies and international agreements on the ability to establish and maintain environmental flows. Techniques are also provided to determine future flow events. Finally, the importance of flexible and adaptive management in project planning is highlighted as an often critical component to long-term improvement of riparian systems in arid regions.